Here’s one that’ll have anyone who’s heard of Frank Zappa without having heard much of his actual output scratching their heads, I think, and, in the wake of a massive re-release program (the Zappa Family Trust are in the process of releasing the back catalogue in a couple of fairly massive tranches) there are likely to be a few folks out there wondering what the expletive deleted is going on here. The answer to that question, of course, lies in the fact that the item under consideration here is the first album in an extensive discography, and it’s worth looking back to where we were in 1966 if we’re trying to make sense of what’s on offer. There’s a fairly extensive body of writing on FZ and his work, most of which hasn’t lobbed on my bookshelves, but I’ve read a fair bit of it over the years and I do have a copy of Barry Miles’ magisterial Frank Zappa (Atlantic Books, 2004), which seems to have most of the bases covered after fairly exhaustive research and a reasonably close personal acquaintance with his subject, and Miles describes Freak Out! as the Bildungsalbum that summed up his entire life to that point (pp.49-50). 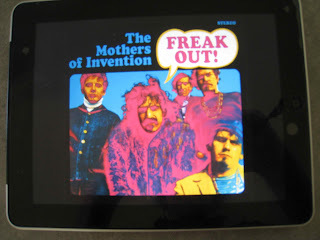 Up to that point Zappa had been playing rock, doo wop and R&B, as well as indulging his experimental predilections, so it’s hardly surprising there’s a heavy R&B doo wop influence in Freak Out! There’s also the not inconsiderable point that while the album was cut over a couple of days at Hollywood’s Sunset Highland Studios between 9 and 12 March 1966 and released in July, much of the material was written two to three years earlier (p. 101). Interestingly, the sessions started just over a week after they’d been signed. So we’re not quite headed off into the further fringes of wayoutness, and, indeed, what you could get away with in a scatological sense in 1966 was an entirely different kettle of fish to what you could do, say, five years later. So if you’re looking for Billy the Mountain or the groupie related content that featured on Fillmore East - June 1971 this won’t be your favoured destination. It’s also worth taking a look at the back story, since from the beginnings of Hungry Freaks, Daddy, we’re straight into some pretty straightforward rock’n’roll (although it comes with additional kazoo enhancement). It’s a background that runs away from the trendier areas of Los Angeles, the likes of Sunset Strip, the Hollywood Hills and Laurel Canyon (though that’s where Zappa was based for most of the next thirty-five years). The urban sprawl extends well east of downtown LA, and out in the boondocks around San Bernardino (more specifically, a locale called Rancho Cucamonga) an aspiring composer, studio owner and guitarist was invited to join a local R&B outfit known as the Soul Giants after a disagreement between singer Ray Collins and guitarist Ray Hunt, who was duly shown (or chose to find) the door. Zappa’s suggestion that the band switch to original material rather than the standard cover version fare they’d been dishing up didn’t go down well with original leader and saxophonist Davy Coronado, who reckoned they’d lose gigs and quit. Renaming the ensemble, Zappa took over the leader’s role. By late 1965 the band was playing Sunset Strip clubs, where MGM staff producer Tom Wilson offered them a recording contract on the strength of Trouble Every Day, under the impression he was signing a white blues band similar to Chicago’s Paul Butterfield Blues Band and New York City’s Blues Project. Wilson’s production credits included Simon and Garfunkel, Sun Ra, The Velvet Underground, Eric Burdon and The Animals and Bob Dylan (three albums and Like a Rolling Stone). It was soon obvious what he was getting wasn’t quite what he expected, but Wilson was impressed enough to wangle a hefty recording budget and authorise Zappa to rent $500 worth of percussion instruments for a session with all the freaks from Sunset Boulevard on the Friday night. The results formed a substantial chunk of the unfinished The Return of the Son of Monster Magnet which occupied Side Four of the resulting double album. 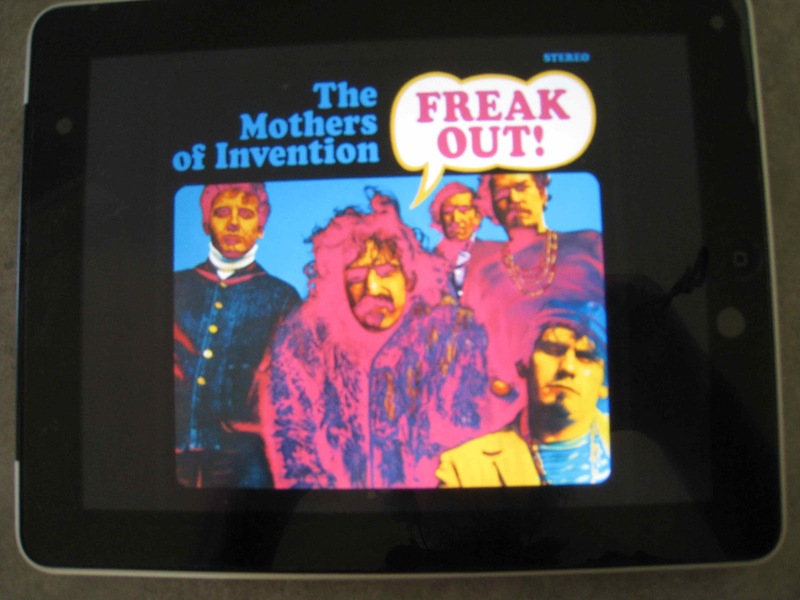 By this point, thanks to their gigs on Sunset Strip, Zappa was a leading player in the Los Angeles freak fraternity, alongside Carl Franzoni and Vito Paulekas, the effective role models for Hungry Freaks, Daddy which may have sounded like fairly standard mid-sixties rock until the vibes and kazoo chimed in but was, in effect a nonconformist call to arms, and fair enough, that’s what the package suggested was coming. Following it with I Ain't Got No Heart might seem like a step back from the brink, given the fact that it’s reasonably straightforward in the lyrical department, but it’s a rather clever bit of sequencing in a double album that gradually departs from the mainstream over its four sides, culminating in the twelve and a bit minutes of The Return of the Son of Monster Magnet. Side one of the vinyl version went along a one bent, one straight formula, with I Ain't Got No Heart being followed by a posting from the edge in Who Are the Brain Police? which is, in turn succeeded by the three part doo wop harmonising by Zappa, Collins and bassist Roy Estrada on Go Cry on Somebody Else's Shoulder. Zappa was, of course, a major doo wop fan with a collection of more than 7,000 doo wop and R&B singles but his take on the genre, however affectionate it might have been, was cynically satirical (You cheated me baby/and told some dirty lies about me/Fooled around with all those other guys/That's why I had to get my khakis pressed). You might be inclined to dismiss Motherly Love as a lightweight affair, at least until the groupie references kick in, by which stage it’s obvious the Mothers are out for as much of the old horizontal mambo action as can be arranged, and I have to admit the Kazoo choruses have a particular charm when lined up beside the lascivious intent being expressed in the lyrics. And you can imagine them delivering How Could I Be Such a Fool? as a fairly straight ballad in a club setting, though in this setting it’s a fairly obvious send up, as is the absurdist semi-bubblegum Wowie Zowie, coming a good two years before the Ohio Express and the 1910 Fruitgum Company. The affectionate yet mocking take on the doo wop R&B ballad continues through You Didn't Try to Call Me and Any Way the Wind Blows, one of the first tracks cut for the album (the other one, Who Are the Brain Police? was probably the one that had producer Wilson on the phone to headquarters) and there’s a darker touch to I'm Not Satisfied before things start to take a consistent turn away from the mainstream. There’s still a bit of the mainstream in You're Probably Wondering Why I'm Here but it’s being firmly pushed aside as Zappa’s lyrics set about mocking the straight elements in the Mothers‘ nightclub audiences. At least that’s the way I read it. Things get really serious with Trouble Every Day. Close to fifty years later you might tend to forget just how ugly things were getting in the black ghettoes right across the States. A perceptive take on 1965’s race riots in South Central Los Angeles and the police response to them is delivered in a Dylanesque rap with the crunch lines You know something people, I’m not black/But there’s a lotsa times I wish I could say I’m not white around half way through the close to six minutes. From there, eight and a half minutes of Help, I'm a Rock meander along in a manner best experienced on headphones, but probably won’t make a great deal of lyrical sense in that environment either. I’m inclined to think of this one as a freak ‘em out performance piece, though they’d moved on from there by the time the album hit the racks (if the setlist from June 1966 here is any indication). After that, the acapella ramble through It Can't Happen Here (who, indeed would’ve imagined they’d freak out in Minnesota, though one suspects that in March 1966 freak outs in that part of the country would have been few and far between) leads fairly seamlessly into The Return of the Son of Monster Magnet which sets out as a cross country percussive ramble through a couple of twists and turns and, as previously mentioned, covers the entire fourth side of the vinyl double album. Given the vagaries of record company releases in Australia and the difficulty of laying your hands on some of this stuff, my high school acquaintances and I had a much closer relationship with Absolutely Free and We’re Only In It For The Money, and by that time Zappa was far more inclined to experiment in the studio but the remastered and re-released Freak Out with its blend of straight rock, doo-wop, experimentation and a razor sharp analysis of the straight/freak divide has aged remarkably well. And, of course, as a precursor of what was to come it’s probably the best place to start a re-examination of Zappa and his work, and an obvious starting point for the Zappa neophyte.